Helping fans learn their favorite fantasy language. 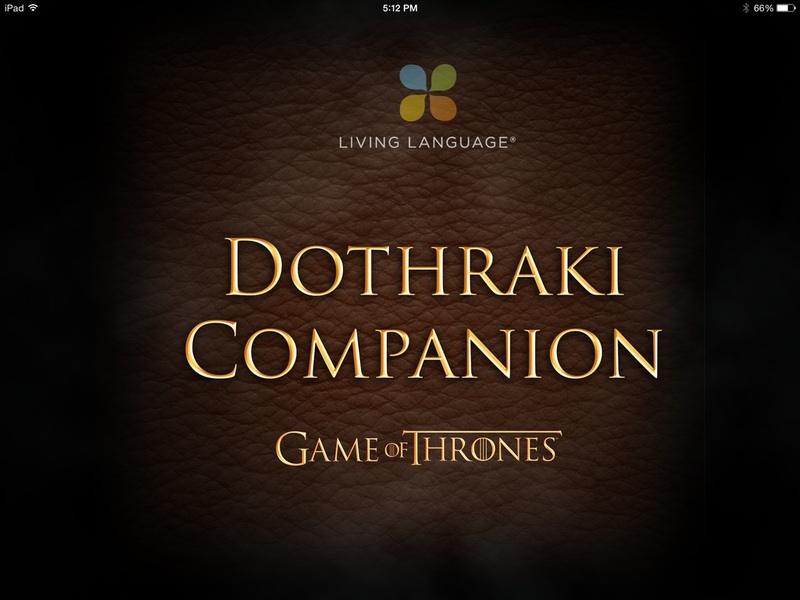 Fans of the Game of Thrones books and television series now have a new way to immerse themselves: by learning the language of the Dothraki people. Learn over 300 words using Flashcards. Learn grammar and pronunciation and practice with Matching, Fill in the Blank, and Sentence Builder games. Customized course content built using Enharmonic-developed Content Management System. #1 Paid App in Entertainment category on the App Store. #17 Paid App overall on the App Store. Featured by Apple in the Entertainment category on the App Store.